Multiple Exposures Gallery is pleased to present two new exhibits: “Las Calles del Ecuador” by Valerie Makepeace and “Closer to Heaven” by Francine B. Livaditis. These exhibits will be on view from February 12 - March 24, 2019. An opening reception will be held on February 17, 2018, 1pm - 3pm. I first visited Cozumel, Mexico in the spring of 2015. It was the first stop on my cruise of the Western Mediterranean. As is my usual manner when I’m at a new place, I headed out on foot with my camera. Traveling southeast from the port area, I wandered through a commercial area that gave way to a residential one. At the end of the street was a cemetery, its gates open. I had never seen a cemetery like this. It wasn’t because most of the internment spaces were above ground; I had seen this years ago in New Orleans. The intense Caribbean colors of the mausoleums are what took my breath away. As I made my way through the cemetery, I was taken by the sublime beauty of some of the family mausoleums and the derelict condition of others. It appeared that the best days of the cemetery were behind it. I photographed what I found interesting—objects, textures and structures. I had the opportunity to revisit Cozumel this past December and knew that I wanted to see the cemetery again. Now too far a walk, I hired Eduardo to drive me there. I was happily surprised to see the revival of this cemetery. The already crowded grounds had many new structures and fewer vaults were in disrepair. It warmed my heart. Online research disclosed that a newer cemetery had been built on the southern outskirts of the town. Eduardo didn’t understand why I wanted to visit one cemetery, let alone two, but he obliged and drove me to my new discovery. It was so different than the older in-town cemetery. This cemetery was at least four times larger and had a road system. Workers were actively constructing in two areas of the grounds. The visual impact at this cemetery is less intense because of the spaciousness, but the beauty of the colorful mausoleums remains. I hope that you enjoy my wonderment! For 10 days our motorcycle cruised on breathtaking Pacific Coast beaches, across gorges by way of swaying rope and plank suspension bridges, through fragrant chocolate and coffee plantations, up the hairpin curves of the Andes Mountain Range in frighteningly dense fog, across the high plains at 15,000 feet, in a dust storm, dodging vicuna, then down the mountain range on the old cobblestone Pan American Highway with nothing more than the occasional yucca plant to remind us of the oblivion that awaited below and finally into the dazzling Amazon River basin with all it’s outrageous flora and fauna. Along the way I documented the way humans have positioned themselves amongst the splendor that is Ecuador. This show, Las Calles Del Ecuador, is the result of that adventure. I have chosen to mount the photographs on panel board without frame or glass so that nothing comes between the viewer and the image allowing for it to be seen more closely as I saw it. 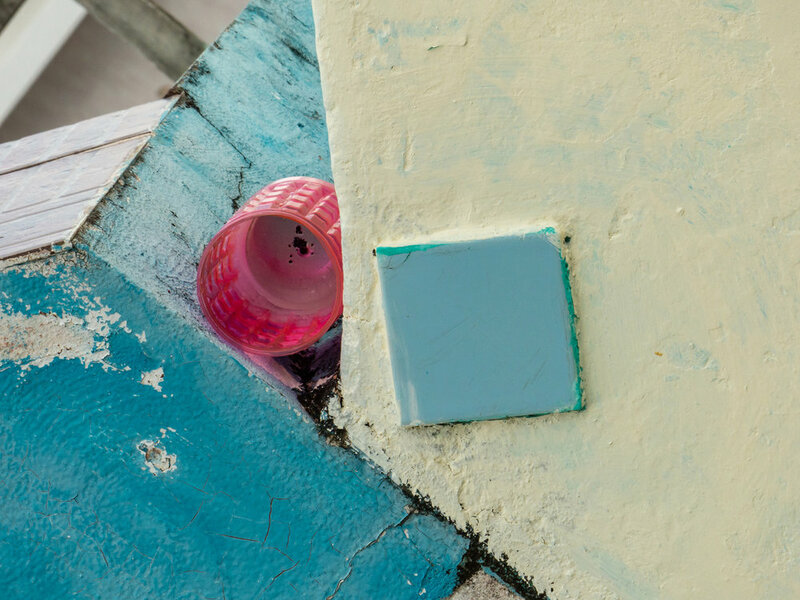 Congratulations to Matt Leedham and Tom Sliter whose exhibit was reviewed by Mark Jenkins of the Washington Post. Bold Planet will be on exhibit at Multiple Exposures Gallery from January 1 - February 10, 2019. Multiple Exposures Gallery is pleased to present new of work by Matt Leedham and Tom Sliter: "Bold Planet". This exhibit will be on view from January 2 through February 10, 2019, with an opening reception to be held on January 12, 2018, 2-4pm. Why are we drawn to the magnificence of nature? It is often the places that are the most remote and the most dramatic that call our attention. The mixture of grandeur and loneliness, and the contrast of complete fullness and emptiness captures my attention. The adventure each image requires of me is my inspiration. It is my hope that these images inspire you to go out and explore for yourself. 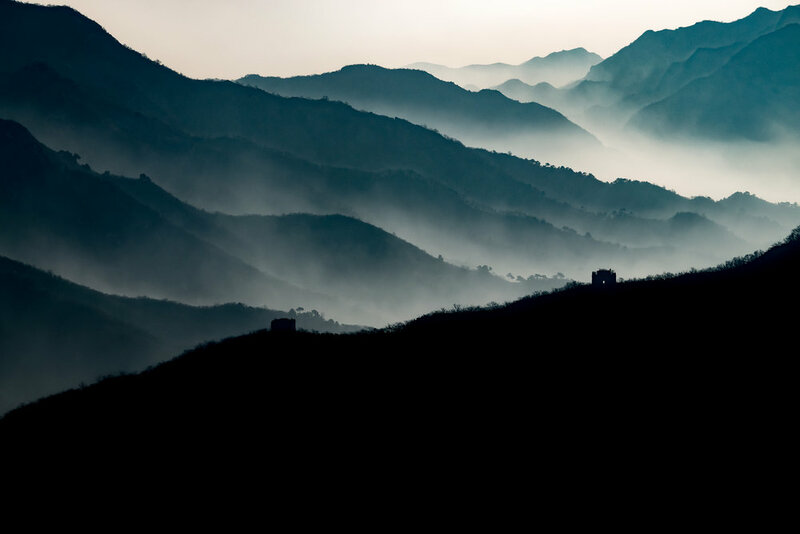 Our planet contains myriad landscapes that are at once visually stunning and emotionally appealing. 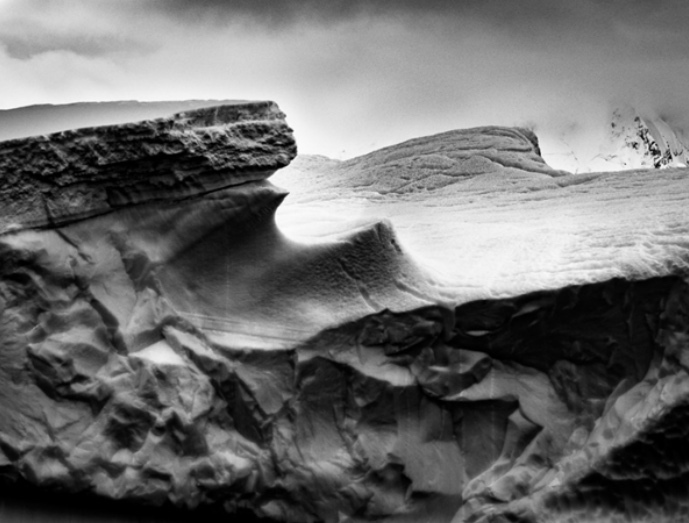 In this exhibit, I focus on the contrasts and similarities of two extreme locations – the Antarctic Peninsula and White Sands National Monument in New Mexico. Despite being separated by thousands of miles and a hundred degrees, both ice and sand are sculpted by common natural forces to reveal an artistic kinship, a visual unity that is reinforced in a black and white print. I hope this exhibit not only captures your imagination but deepens your appreciation for our Bold Planet. Multiple Exposures Gallery is pleased to present a group show of members' work, juried by Joe Cameron. The exhibit will run from October 16 - November 25, 2018. Fine art photography is an unusual practice. A painter begins with a blank canvas, a sculptor stands before an unformed block of wood or stone. What lies ahead is the arduous task of creating something out of nothing. But a person with little or no training, holding a camera, can produce a perfectly formed picture in a thousandth of a second. Cameras are designed to make perfect pictures. But therein lies the rub. Perfect in camera terms usually means clear and precise, an accurate replication of what lies before the camera’s lens and nothing more. Such images are often of little sustaining interest beyond the witnessing of a moment frozen in time. What makes camera images vital and exciting when created by a skilled photographer, is a viewer’s discovery that with patience and a quiet mind, unforeseen layers of meaning are often revealed. A tree is a tree…is sometimes much more than just a tree. I looked for such moments when choosing work for this exhibition, and there were many. The photographers of Multiple Exposures Gallery are a diverse and highly skilled group. They maintain a high standard of excellence and deserve the attention of art lovers as well as the community at large. I thank MEG for the opportunity to engage their work in depth. 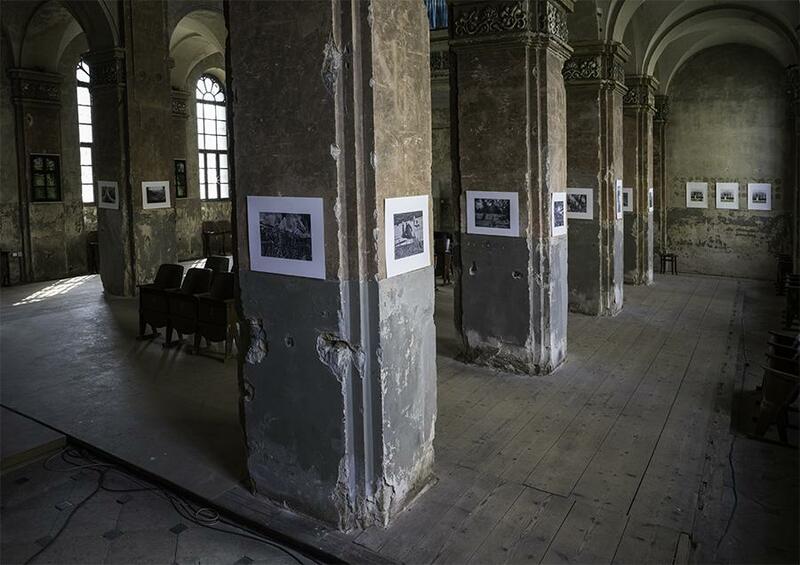 Michael Borek had a recent exhibition, “From the White House to Libeň”, of his work in Palmovka Synagogue in Prague, Czech Republic. The show presents three projects: "Treachery of Images" inspired by Rene Magritte shows the photos of the White House and American presidents on the sides of tourist buses. "Scranton Lace" captures abandoned factory in Pennsylvania and "Aimless Walk Reprise" shows disappearing Prague outskirts in Libeň Island together with the idealized rendition of the newly constructed apartments on the posters put up by the developer. 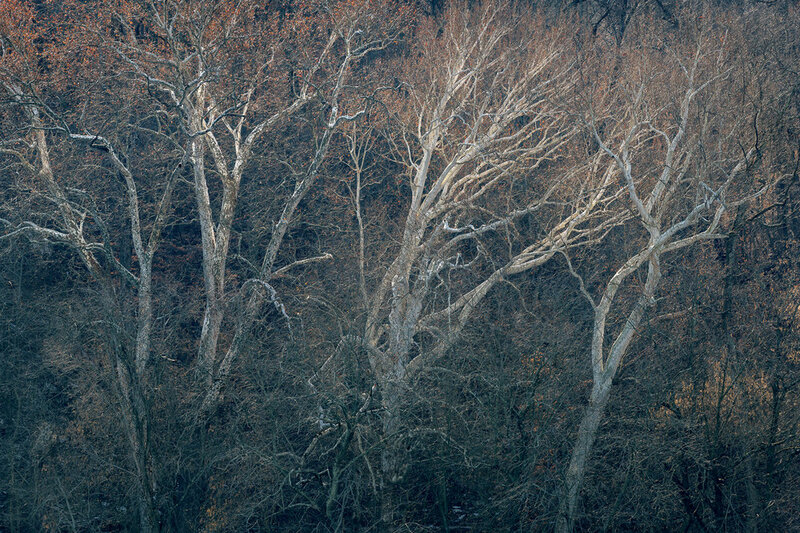 Michael Borek - "Aimless Walk Reprise"
This exhibition presents 22 photographs taken by Michael Borek in his native Czech Republic. Over the last ten years, he continued to return to photograph an old blue-collar neighborhood in Prague, where he grew up. This area seemed to resist the changes of modern times. However, several years ago, developers embarked on a new construction of luxurious condos there. This project combines images of the old dilapidated neighborhood, hints of the emerging construction, and posters of developer-rendered idealizations of the “happy future.” However, these posters themselves are not immune to the ravages of time, and sometimes it is hard to recognize what is a depiction of reality and what is a depiction of a depiction of reality. This project visually retraces the dream-like reality of a seemingly aimless walk, where it is impossible to distinguish among the past, the present, and the future.